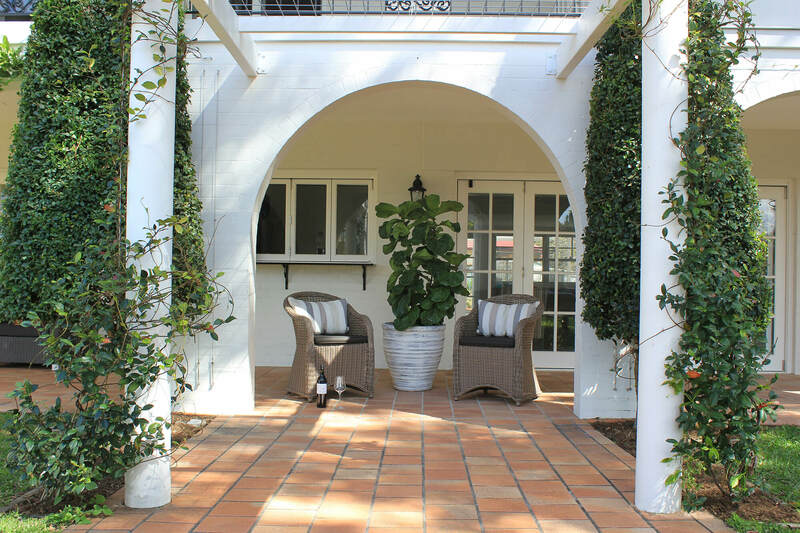 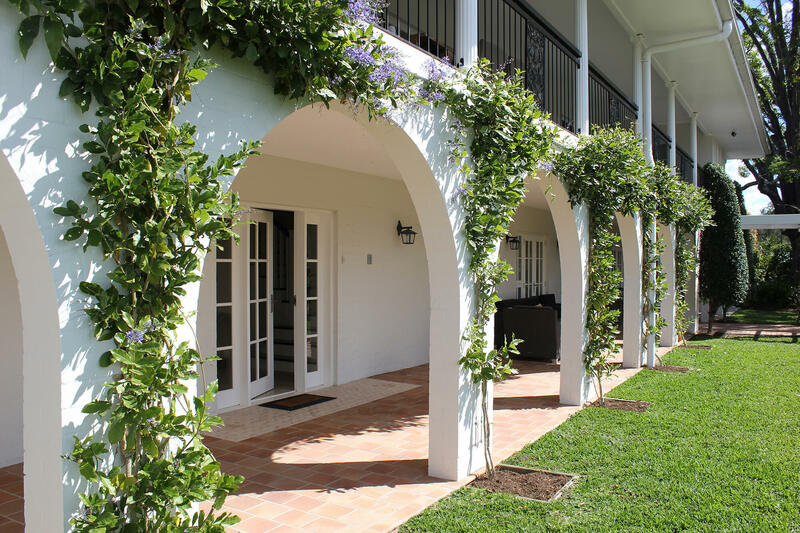 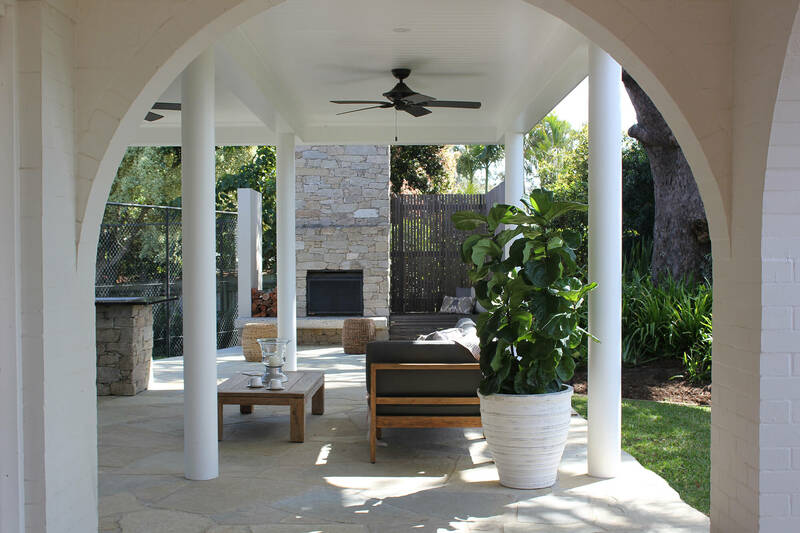 The brief was to rejuvenate the existing garden to compliment the recent renovations of the residence in Hamptons Style. 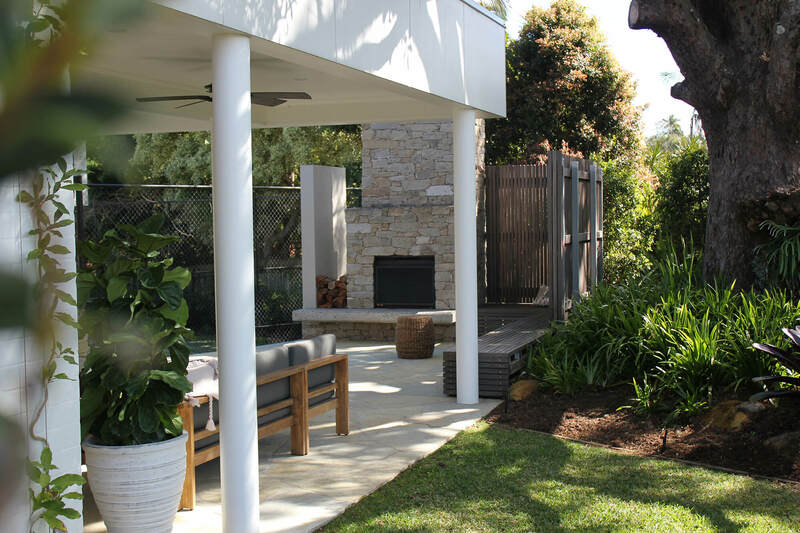 Alpine Dry Stone Walling was chosen to create the Hamptons feel and link the new elements of the garden ensuring continuity. 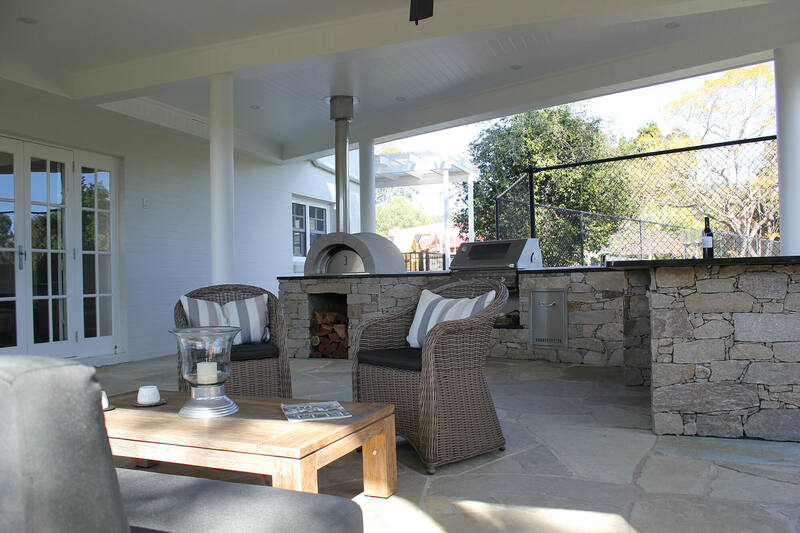 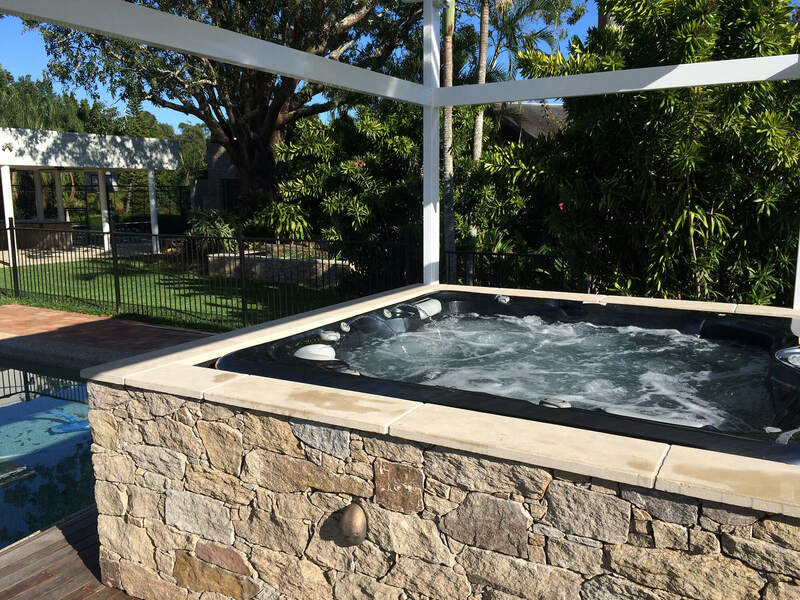 Shaded outdoor spa, refurbished water feature, covered outdoor entertainment area including kitchen and fireplace are all new additions. 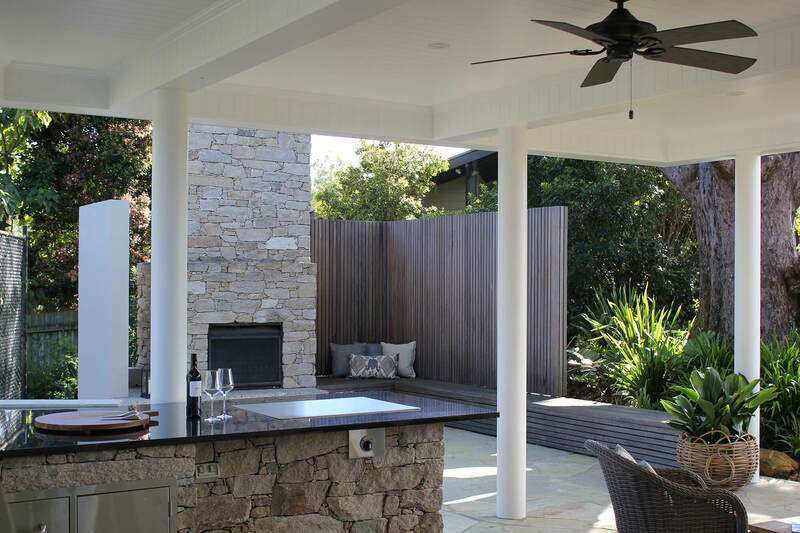 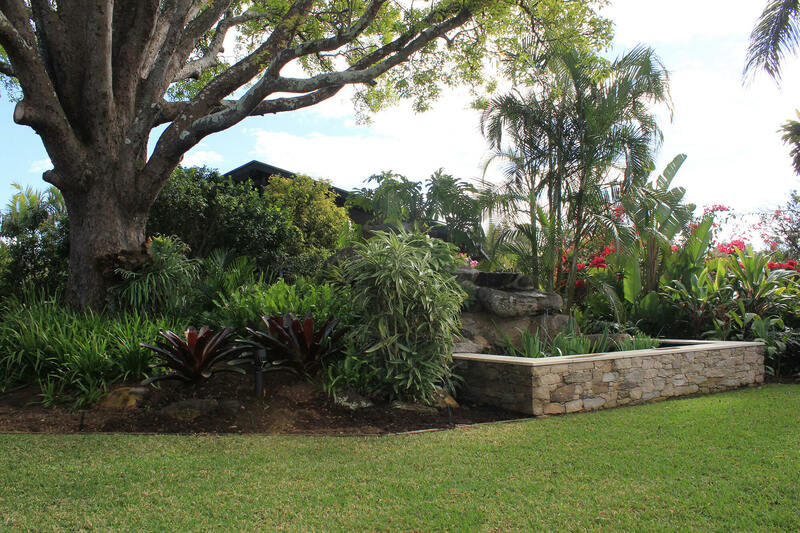 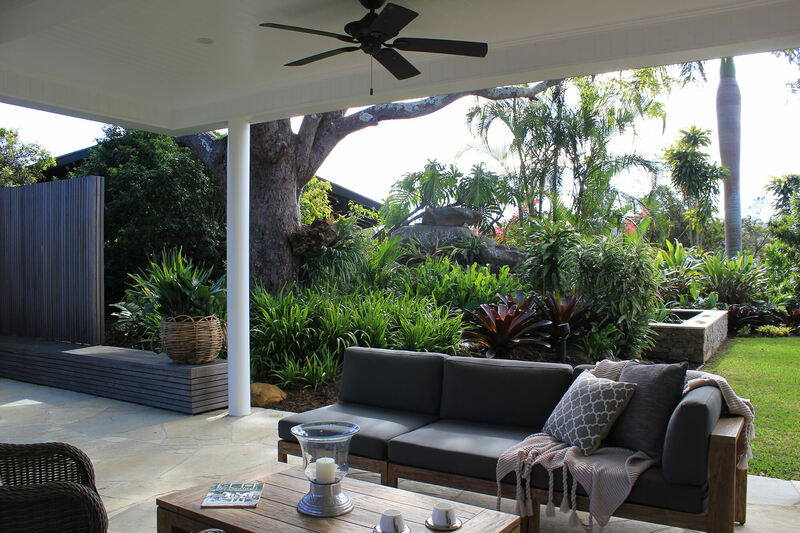 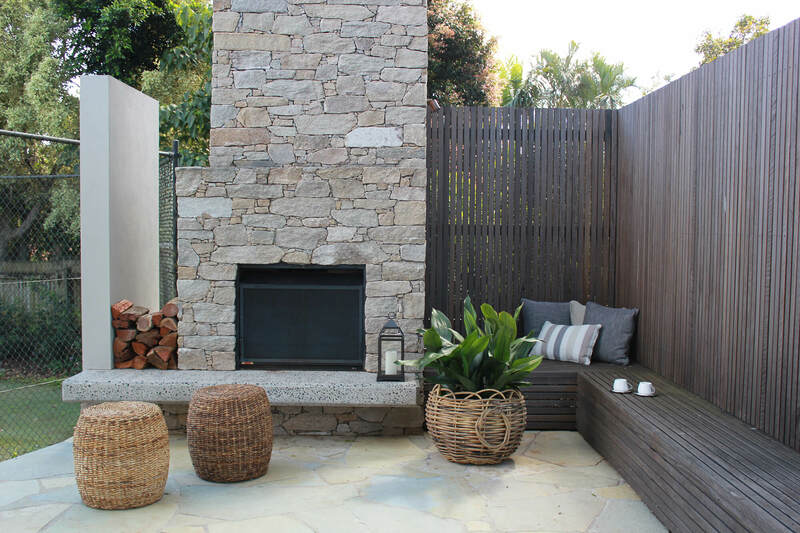 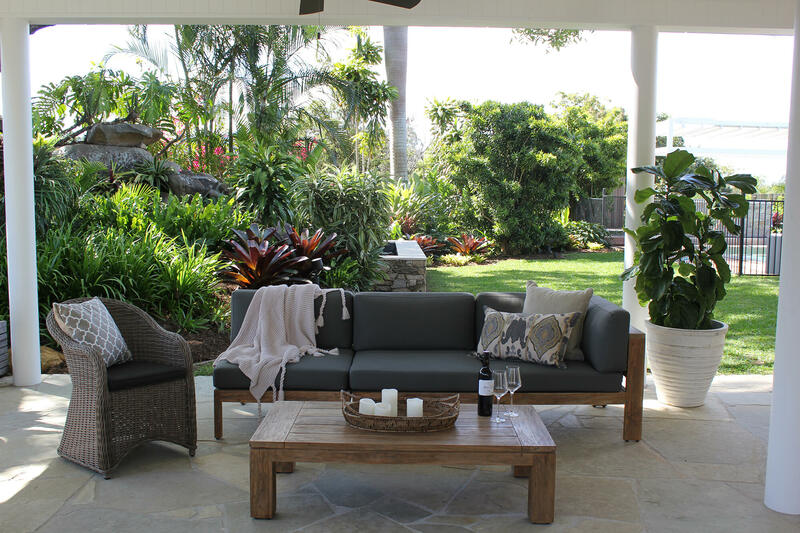 Timber screens mix with lush tropical planting to ensure the garden is private & restful.